Four-monthly magazine of photography, nature and tourism in Friuli Venezia Giulia. 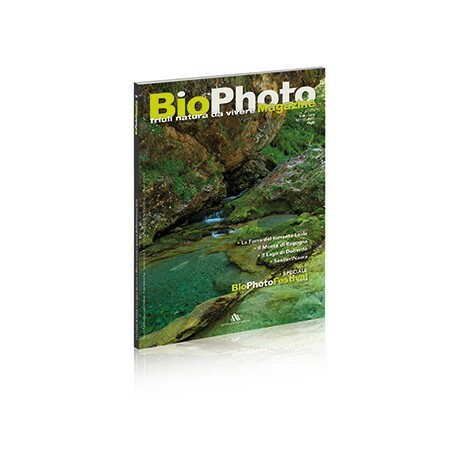 BioPhotoMagazine is a four-monthly magazine of nature photography that aims to promote tourism, promote tourism and safeguard the natural environments of the Friuli Venezia Giulia Region. The magazine, made with a stitched binding stitched and characterized by elegant graphics, is aimed at amateur photographers, mountain lovers and nature but also for those who simply want to know the natural beauties and have ideas to spend a nice day or stay for a longer period in our Region. With the collaboration of photographers and writers who are passionate about nature, we will discover evocative glimpses of our valleys, including rivers, lakes and mountains. We will also know the environments of the plains, the lagoon and the marine coastlines with in-depth analysis of the habits and characteristics of the animals and plants that characterize and make Friuli Venezia Giulia special. The images of great quality and descriptive texts will accompany the reader on a cognitive journey that will allow him to appreciate a unique territory.